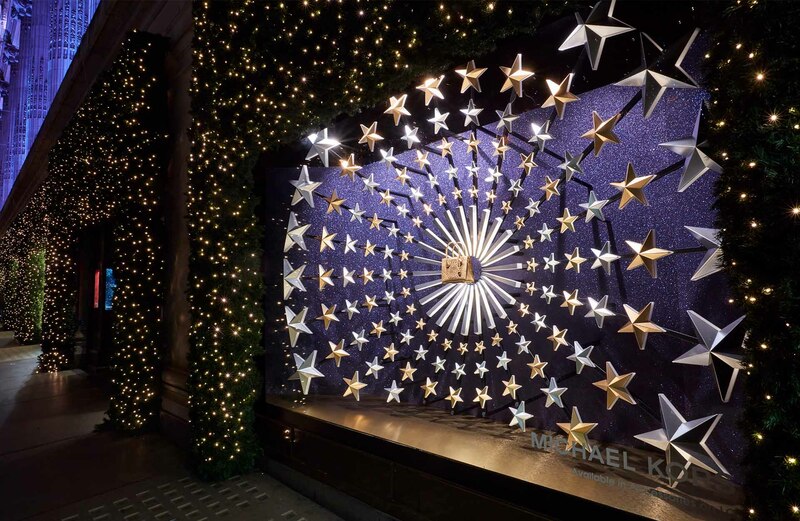 We were thrilled to work with Michael Kors on the Design, production and installation of this beautiful display for the holiday. 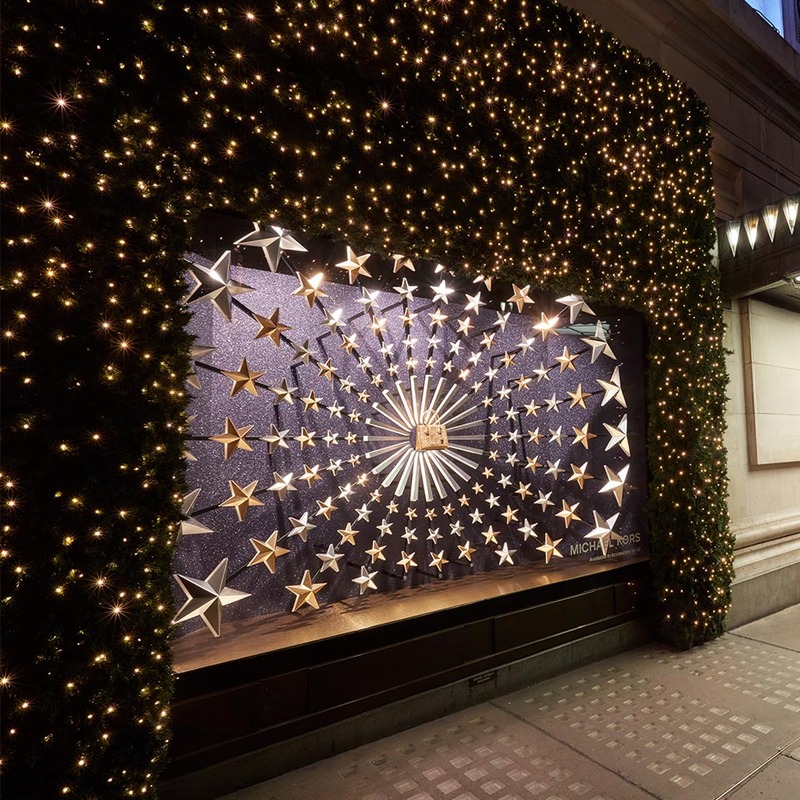 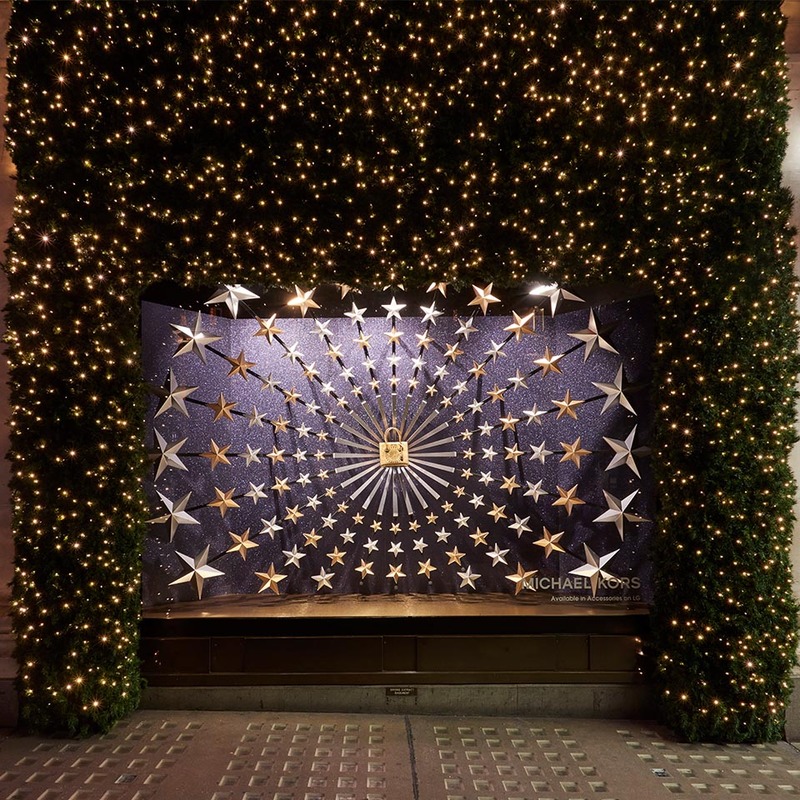 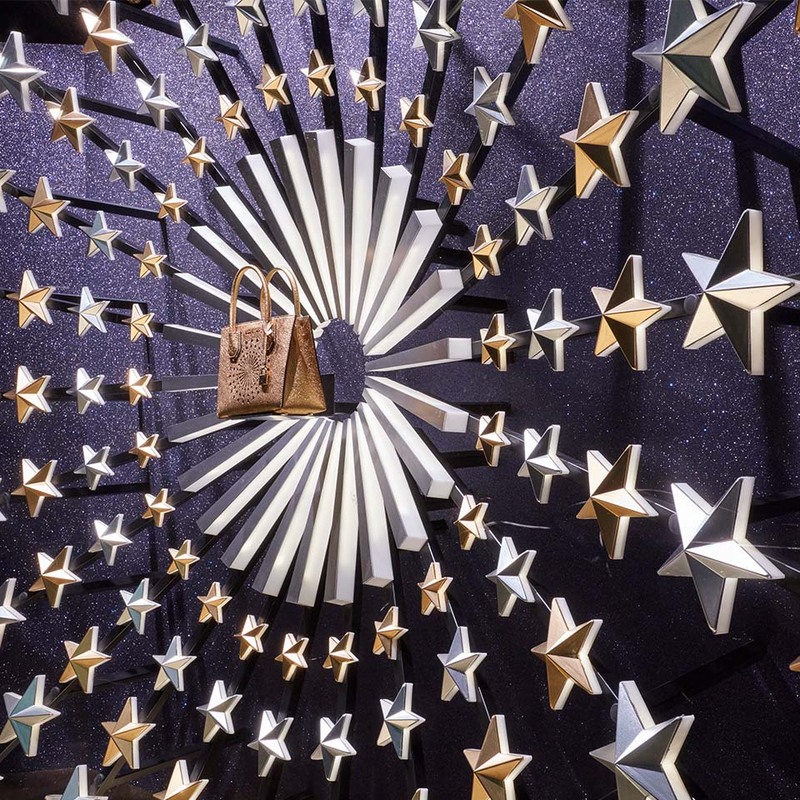 The design features hundreds of bespoke, vac formed, edge illuminated stars and flocked glitter backdrops. 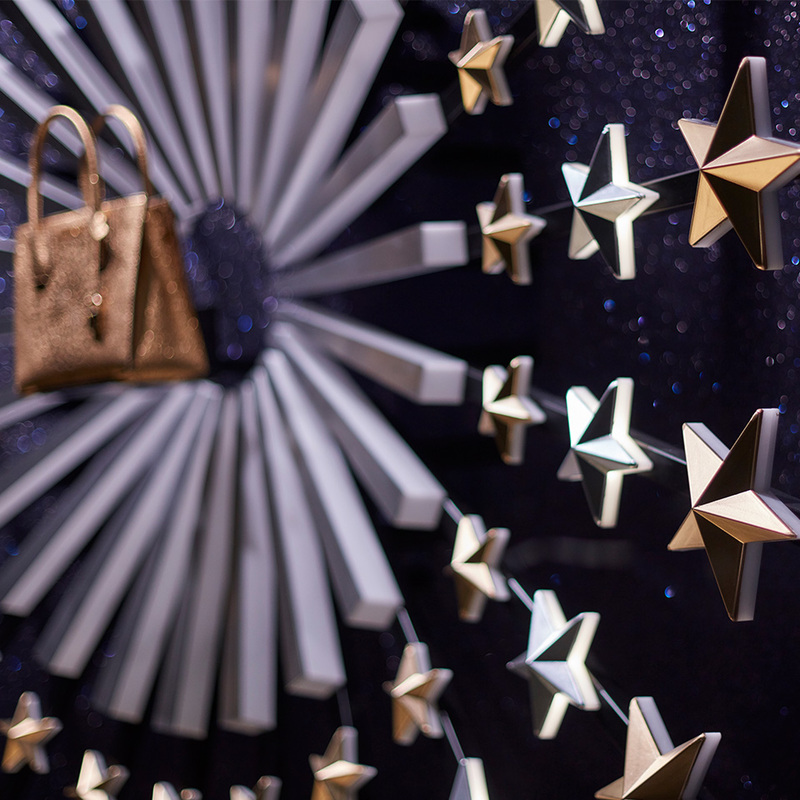 The light animation mirrors the flashing Mercer Light-up Tote bag too creating a spectacular display!